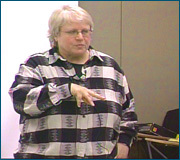 This CEU program consists of 2 streaming videos and 2 PDF Viewing Guides. The information in this program (RC9 and RC10) is included in the longer seminar SEM25. Presented by Rona Alexander, Ph.D., CCC-SLP. 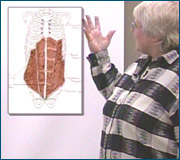 This video discusses the structure, interrelationships, and functional aspects of the rib cage. Presented by Rona Alexander, Ph.D., CCC-SLP. This video discusses and presents the primary muscles of respiration, how they impact function, and oral-pharyngeal development. 1. 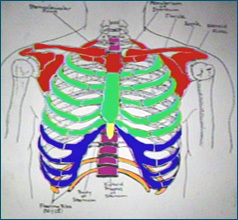 Describe the structural and functional aspects of the rib cage. 2. 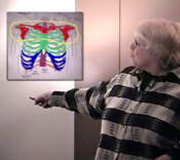 Describe the function of the respiratory musculature and the important aspects of oral-pharyngeal development.